Robotic Assistance Devices, a 2017 'ASTORS' Homeland Security Awards Winner was recently recognized with the Best New Product award for its Security Control Observation Tower (SCOT), ideal for any application where long-range human detection, automated and/or custom interaction & a visible security presence are needed to expand an organization’s situational awareness while protecting people and assets from outside threats. The Security Industry Association (SIA) has announced the winners of the SIA New Product Showcase Awards Program. Winners were recognized on stage at ISC West 2018, North America’s largest security trade show, and IPConfigure took top honors as Best in Show. “The SIA New Product Showcase challenges our industry’s solutions developers to create and deliver exceptional security offerings, and this year we saw many new entrants competing in the showcase,” said SIA CEO Don Erickson. Since its inception in 1979, SIA NPS has been the security industry’s premier awards-based marketing program. This year’s NPS Program had 122 entries from small, medium and large companies in the security industry. This number set a record for entrants in recent years. In addition, the prestigious Judges’ Choice Award was presented to Allegion for its Von Duprin Remote Undogging and Monitoring Kit. The NPS judges presented awards in 29 product and service categories. The full SIA NPS Award Winner’s List appears below. The Orchid Core VMS “provides local and remote access to live and recorded video through an intuitive Web browser interface, with the same user experience on both workstations and mobile devices. In addition, each Axis Communications network cameras and video encoder equipped with an ARTPEC-6 processor can now host Orchid Core VMS’ recording engine, database, video storage, and an encrypted Web browser interface for live viewing, search, and video playback functions. While Orchid Core VMS runs as a self-contained application on Axis cameras, it also supports federating with Orchid Fusion and Orchid Fusion Cloud for enterprise deployments with unlimited cameras, users, and locations via a unified user interface. According to Allegion, the product allows remote undogging (locking) of mechanical exit devices – commonly found on secondary perimeter openings in many institutions. The Von Duprin® RU retrofit kit from Allegion is a wireless solution that enables remote undogging and door status monitoring. Ideal for the K-12 market, it enhances perimeter security by providing electronic override of mechanical dogging to effectively lockdown the facility in an emergency. The Blueline series of credential readers combines proven technologies of the past with the emerging technologies of today. Through one product line a customer can maximize the benefits of Mifare, Desfire, Fingerprint, OSDP, Ultra-High Secure Credential (UHSC), Mobile Credentials, NFC and Bluetooth to create a customizable security solution that’s right for their infrastructure. Blueline is an ergonomically esthetically pleasing design that fits all solutions from the smallest user to the largest corporations. Existing vehicle access control applications with two lanes require two separate RFID readers, whereas now only one reader, such as the ISC.LRU1002, can handle two lanes. Additional advantages to implementing the Wiegand Switch include reduced hardware costs and less space needed for the security electronics – a critical issue for gate and parking installations. 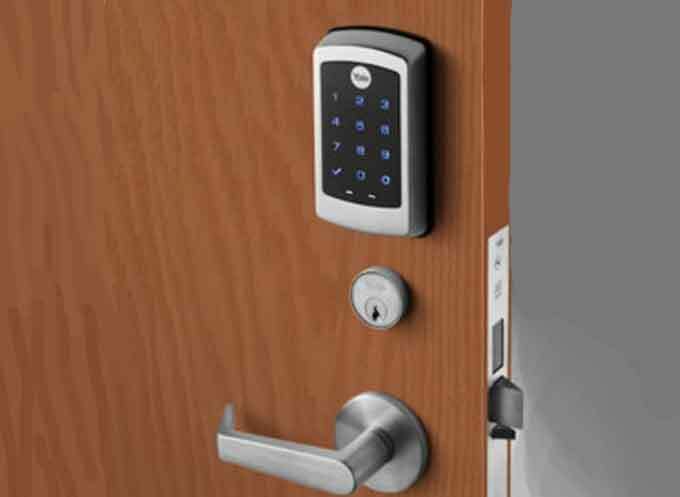 The nexTouch Sectional Mortise Keypad Lock an ANSI/BHMA Grade 1 certified mortise lock offers robust security for a wide range of commercial and multi-family applications, either as a standalone lock or integrated into a scalable access control system via plug-in modules. The ACS300 is a modern two-door controller featuring a built-in Bluetooth credential reader, optional WiFi connectivity, and IT-friendly Power Over Ethernet, all packaged in a visually appealing design that would look at home in any modern office. Netgear FlexPower is the first wire-free, ONVIF® compliant IP camera for small business surveillance. This weather-resistant, battery-powered, wire-free camera offers the simplest installation and the flexibility to be mounted in places where power cables just can’t reach. The FlexPower Base Station provides secure wireless connectivity for up to 4 FlexPower cameras, while enabling extended battery life and ONVIF® compliance for FlexPower cameras. With its flexible mounting options, the Base Station can be installed on the ceiling, wall, or placed on any flat surface. The all-new Digifact™ A is an IP microphone with audio analytics capabilities and an onboard processor to meet today’s security needs. The Digifact features a quad-core processor that streams audio over multiple industry standards including Real Time Streaming Protocol (RTSP) and can be easily connected to leading VMS platforms. It incorporates audio and signal processing for clear audio capture quality and a wide dynamic range. The eSeries Administrative Console is a PoE (Power over Ethernet) Master Station used to initiate paging announcements and audio program distributions or easily establish two-way voice intercom with any other eSeries Console, Ceiling Speaker, or Wall Station. The display shows information about incoming or outgoing calls. The user has a choice of going hands-free with the built-in microphone/loudspeaker or having a private conversation by picking up the handset. Feature keys make it simple for users to scroll through a list of incoming calls, select a public address zone to make an announcement, or select a source for audio distribution to specific locations. In an emergency, every second counts, timely instructions to help people react quickly and decisively can help save many lives. With its innovative and patented built-in ultra-bright LED strobe light and LED messaging features, Pro-Lite’s ReACT! can quickly alert a localized audience of the emergency and provide location-specific instructions to help guide pe0ple to safety. DynamixSmoke from Advanced gives you complete and active smoke control from the fire system. Easy to set up, configure and use, thanks to their 4-step configuration process. ASSA ABLOY’s EcoFlex exit trim can be used as an electrified exit device in stand-alone applications, in conjunction with a wall reader, or as part of an integrated access control lock, making it an excellent solution for a variety of applications, including K-12 and Higher Education, Healthcare, and Hospitality. Gallagher’s Class 5 IAS provides you with a fully encrypted and authenticated, compliant Class 5 level Alarm System, the highest level of the AS/NZS 2201 intruder alarm system standard. Each Security Control and Observation Tower (SCOT), from Robotic Assistance Devices, (RAD) is equipped with the latest AI technologies – allowing it to deliver guarding services at a fraction of the cost than any human or automated solution on the market. The new Security Control and Observation Tower (SCOT™) is ideal for any application where long-range human detection, automated and custom interaction, and a visible security presence are needed to expand an organization’s situational awareness while protecting people and assets from outside threats. The BQT Solutions Electronic Roller Door Lock is a low voltage motor driven lock suited for securing roller shutters and doors. Designed to be installed internally, it can be surface mounted horizontally or vertically on the floor or wall. The YR10 is supplied with a matching strike plate and is strong enough to prevent forced entry on any style or size of door. The Iris ID iCAM M300 is a handheld, Android-based multimode platform for fast and accurate biometric enrollment and identification. Iris and facial modes are embedded. An optional snap-on module provides for FBI-compliant single fingerprint collection. Also included are magstripe and contactless card support, as well as an MRZ reader to verity ePassports. The Microsemi SyncServer S80 is a fully integrated GPS/GLONASS antenna, receiver, NTP server, and Power over Ethernet (PoE) interface that easily integrates into existing PoE infrastructure to immediately be the source of accurate, secure, and reliable time stamps for all network connected devices. Network isolated physical security systems benefit as the ruggedized Stratum 1 network time server is ideal for time-synchronizing IP security cameras, access control devices, and digital/network video recorders. SyncServer S80 is also suitable for synchronizing the time on small enterprise networks. With the Arlo Security Light, you can light up your front porch, driveway, deck, back yard, and other outdoor areas around your home with customizable lights. Position the Arlo Security Light virtually anywhere with the easily adjustable mounts. Powered by removable rechargeable batteries or an optional solar panel. Axis Communications, AXIS Device Manager, is a comprehensive on-premise device management tool that offers an easy, cost-effective and secure way to manage all major installation and operational device management tasks. In a world where security threats are becoming more common, AXIS Device Manager facilitates proactive device and network protection. It is suitable for managing up to a couple thousand Axis network cameras, access control and audio devices on one site — or several thousand devices across multiple sites. MorphoWave™ Compact, is the newest addition to its range of products for frictionless biometric access control. This masterpiece of engineering relies on IDEMIA’s patented, touchless 3D fingerprint technology: it delivers the field-proven performance of the award-wining MorphoWave Tower in a stylish and compact reader, designed for wall-mounted access control and time & attendance applications. ella is your video gateway to the deep learning engine, ella. This small, discreet computer is installed on your local network with the rest of your security cameras. It’s fanless design is completely quiet, and install through setup can be done in a matter of minutes. The box itself is about the size of a deck of playing cards. ella is capable of analyzing interesting events from 3 separate 1080P streams. AXIS P1280-E delivers all the benefits of thermal detection at a price that’s within reach. Thanks to built-in analytics – or advanced analytics from our partners or Axis – it reliably detects people, vehicles and objects regardless of light conditions or attempts at camouflage. It can be used as a cost-effective detector with visual confirmation for safety of both people and property in numerous environments. It also helps to decrease false alarms. The Gamechanger has been designed to exceed standards and optimize performance for CCTV applications. With increased gauge size, a carefully designed twisting and a specialty materials, the GameChanger is the only thing you need to bring 1080p video with power of Ethernet up to 850 feet! 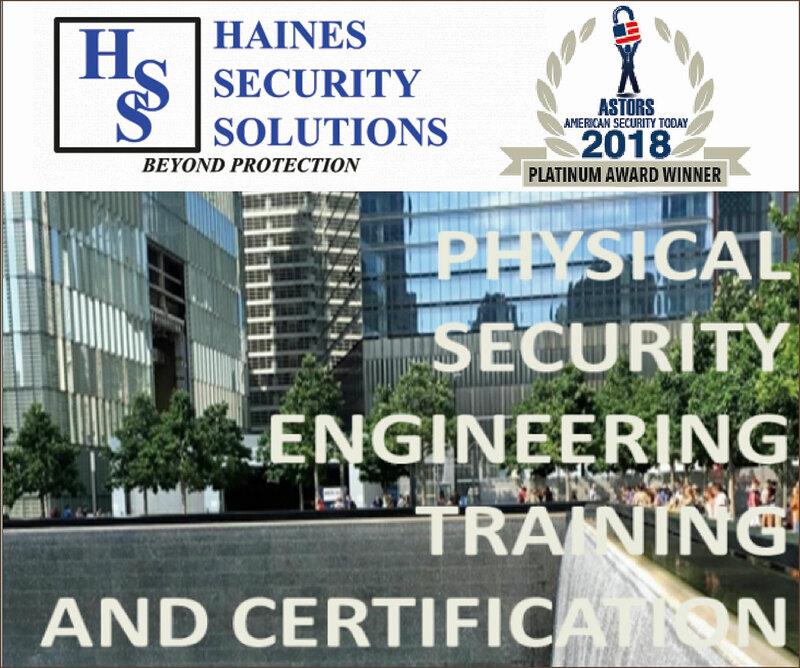 American Security Today is pleased to announce that Early Entry Nominations are being accepted for the 2018 ‘ASTORS’ Homeland Security Awards Program – the most Comprehensive Awards Program in the Industry, through April 25th, 2018. Please View our Complete List of Categories & Opportunities for Your Organization to Compete and Distinguish Your Achievements in this Exclusive Opportunity to receive the Recognition Your Public Safety, Law Enforcement & Homeland Security Deserves. The AST Digital Publications is distributed to over 70,000 qualified government and homeland security professionals in federal, state and local levels. AST puts forward the Largest and Most Qualified Circulation in Government with Over 70,000 readers on the Federal, State and Local levels. AST’s publisher Michael Madsen, has announced an AST ‘ASTORS’ Awards Preview Edition to be published in an upcoming AST Magazine – a Full Feature Issue devoted to the competing firms and their achievements with an introduction to our 70,000+ readers – so Enter Today! 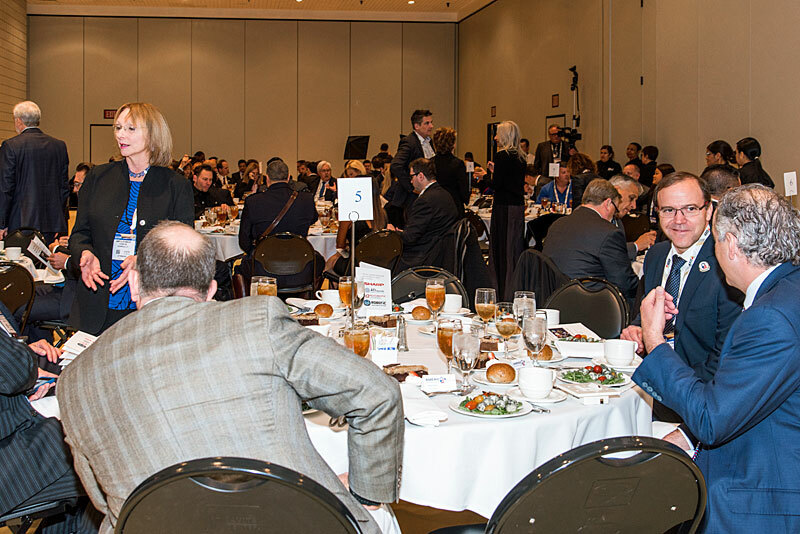 The highlight of the 2018 ‘ASTORS’ Homeland Security Awards Program will be the Awards Presentation Luncheon at ISC East at the Javits Convention Center on Wednesday, November 14th.